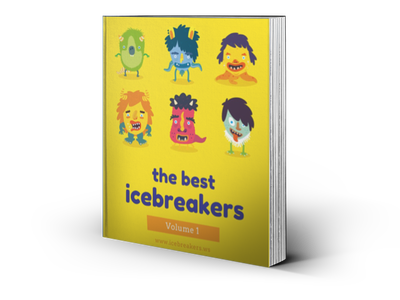 Picture Whispers - Icebreakers, Icebreaker Ideas, Games, Activities! The Picture Whispers game is sort of like Pictionary mixed with the Telephone Game. Picture Whispers actually has some advantages over Pictionary. First, all players get to draw at the same time, and then get to guess at the same time, in phases, which means more game for everyone involved. Second, the game concludes with each player revealing sequentially all stage of drawings and guesses in their notepad, sharing with the group a short, absurd story of misunderstanding, non-sequitur, and debatable artistic merit. This reveal is similar in effect to — and has all the hilarity of — popular group storytelling game Consequences, or this collaborative drawing game. Play Picture Whispers with at least four players, and up to as many as you like, though as the game gets longer for every additional person in the chain, so if you have many more than ten it may be best to end the game after a certain number of passes (say, ten) rather than play all the way to the end of the circle. You could also split a large group into two smaller circles. All players sit in a circle, or around a table. Optional: Some item to be used as a bookmark, to mark which the current page is in case the notepad is closed, would also be useful. Each player will choose a word or phrase to write on the first page of their notebook. This could be an object, a person, a place, a concept, the title of a book or movie, or pretty much anything. Players are free to write something as sober, silly or lewd as they want — paying all respect to the company they are in, of course. Remember that some words are harder to express in pictures that others. Each player writes that word on the first page of their notebook, and passes their notebook to the player on their left. Be sure that nobody but the player on your left sees your notebook. Also be sure that nobody looks back through the notebook to see what was written or drawn by previous players. Now each player turns to the next page of their notebook, and draws an interpretation of the word they were passed. If the word on the first page of the notebook was “fairy", you should now turn the page and draw a fairy, as best you can. Each player passes their notebook to the left again, looks at the drawing on the notebook they have just been passed from their right, and guesses what the word that inspired that drawing might be. Hopefully, the player who has just been passed a picture of a fairy writes “fairy"… but maybe that picture looks more like an “angel", or “Tinkerbell", or “Doctor Octopus". Play proceeds in this manner, with every player alternately drawing a picture based on a work, or guessing a word based on a picture, until each notebook is passed back to its original owner (ie. the player that wrote the word on the first page). Now, in turn, each player reveals to the rest of the table, from the first page with the original word to the last used page, the contents of their notebook.